About Us - Africa Bound Safaris Inc.
Africa Bound Safaris Inc. caters to travellers who want an original, authentic and unforgettable safari experience in the East African countries of Kenya, Tanzania and Rwanda. At Africa Bound Safaris Inc. we know that not everyone has the same idea of a perfect holiday, and why should they? Instead of telling you where to go and when, we want you to tell us what you’re looking for so we can make it happen. We work closely with all our clients to customize each trip and make your perfect adventure a reality. We specialize in upscale travel; to us, a tented camp includes a hot shower and en-suite bathroom. Upon arrival in Africa, you will be greeted by your private guide/driver who will be with you for your entire trip. No detail of your safari is left untouched. We ensure you can focus on each moment, with the peace of mind that your safety is our top priority. World-class chefs, 4.5 and 5 star accommodations, private 4x4 vehicles and expert local guides are all part of making sure you have the trip of a lifetime. Tell us who you want to travel with, when you want to go, and your budget, and we will customize your trip to meet all your desires. Our mission is to offer upmarket services and accommodations while providing an opportunity for you – our guests – to participate in the culture of your host community, while at the same time enjoying the inexhaustible attractions of the continent. With more than 30 years of experience in the African travel industry, you can rest assured that you’re in good hands with Africa Bound Safaris Inc. Our partners in Kenya and Tanzania are born and raised in the area, and have intimate knowledge of all the destinations we travel to. Their passion and dedication combined with their tourism education will make your safari an experience you will never forget. Ambrose is our partner in Arusha-Tanzania, ensuring Africa Bound Safaris is one of Tanzania’s leading luxury tour and travel companies. Ambrose is a certified professional guide/ranger, walking safari guide, bird watching guide, and he is trained in first aid. Ambrose specializes in identifying all different species of animals, birds, reptiles, insects, plants and flowers, sharing his passion for his native home with his clients on safari. With over 20 years experience, our clients are guaranteed to receive excellent service and quality. Simon is our partner in Nairobi-Kenya. A seasoned and environmentally cautious safari guide, Simon is a member of the Wildlife Club of Kenya, the National Museums of Kenya, and the Kenya Professional Safari Guides, a recognized tourism body in Kenya. Simon’s wealth of knowledge of over 20 years in the industry and passion for his country make him a top safari guide. Simon is dedicated to providing top quality service to all his Africa Bound Safaris clients. Here at Africa Bound Safaris Inc., supporting local communities is important to us. A portion of our profits, along with the generous contributions of our clients, are donated back to the people of Kenya and Tanzania. We’re focused on the education and well being of children. 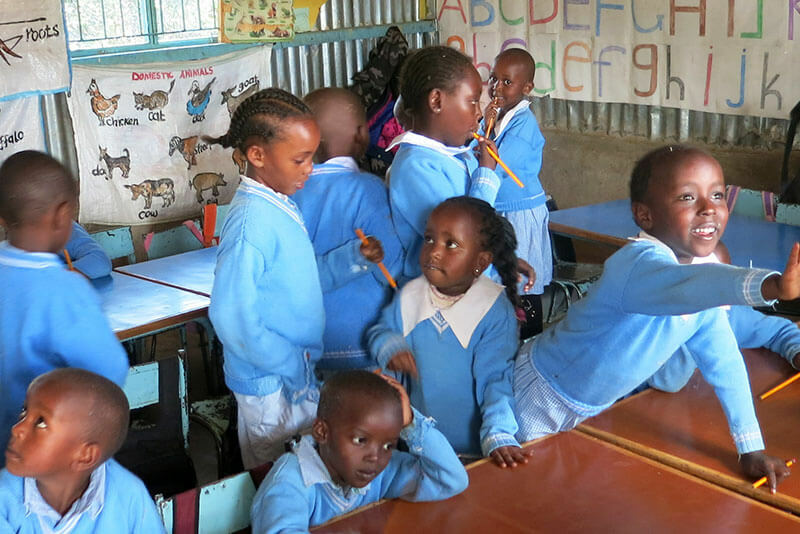 Some of our projects over the years include providing clothes, furniture, food and electricity to several Kenyan and Tanzanian orphanages; sponsoring the education of 10 young men and ladies in private schools in Kenya and Tanzania as well as providing funds for 6 young adults to go to university; and providing and installing 800 mosquito nets in hospitals and orphanages in Tanzania. We hope to do even more to support to the local communities in Africa that our clients love to visit. In Ontario, Africa Bound Safaris Inc., is registered and in good standing with The Travel Industry Council of Ontario (TICO). Registration number 50018037 and 50016376. In Kenya, Africa Bound Safaris (K) Ltd., is a member in good standing with The Kenya Association of Tour Operators (KATO). Membership number FE/430.